If you love Our Lady of Skepticism, don’t read this. 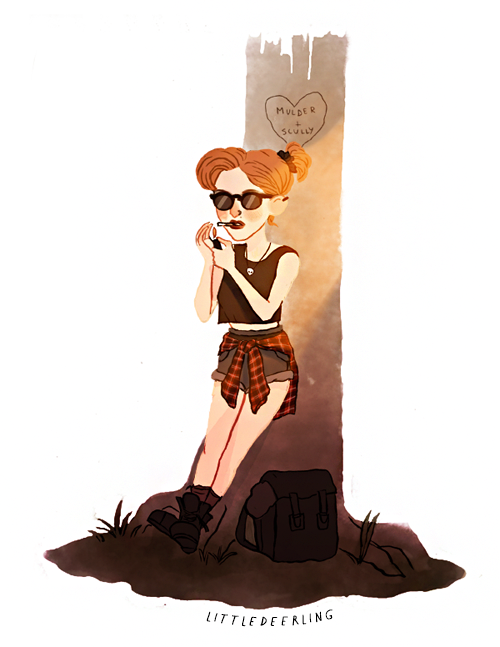 I mean, I hate to be that person, but Hashtag Not My Scully (#NotMyScully). I wasn’t precisely looking forward to this book, despite being the owner of a beyond huge X-Files obsession that permeated my adolescence, but it seemed like a fun idea, if executed properly. I wasn’t as worried for the Mulder one in this pair of books, because his story as a teenager practically writes itself. Also, Kami Garcia seemed like a good choice. She knows the genre, and is successful in it. But this Maberry guy? Never heard of him. Also, he doesn’t write YA. Also, and I’m not saying dudes can’t write realistic teenage girls, because they can; I’ve seen it happen. But what I really wanted from this book (an emotional, deep-dive character study of Scully as a teenager) seemed unlikely given the choice of author. So I was worried about this book, but I had no idea how much I would dislike it. All my worries were very much justified, and then some. Main complaint out of the way first: this book was dull as hell, and for an X-Files story especially, felt incredibly generic. Every character in this book was a 2-D cardboard cutout, including Scully, who Maberry seems to have smushed into place to fit in with the other 2-D cardboard cutout characters. His writing has no voice to it, and that’s a crime in my book because he cardboarded my beloved Scully. My second most important complaint follows squarely on the heels of the first: this character going by the name of Scully is not Scully. I did not believe for one second that this girl would grow up into the secure, confident, intelligent, focused, scientific and skeptical badass we meet in the pilot. Maberry has this character wanting to believe (literally, that’s the first line of the book), and letting Melissa take her to yoga classes, and she frequents psychics and all kinds of New Age stuff. This book has at its very core premise the idea that Scully became a skeptic solely because of the (dumb) events of this book. That is a reduction of the character, and it is lazy writing. Scully is a skeptic because she’s a skeptic. It’s who she is at her core. She craves order and reason, and her religious faith has always been a nice contradiction to that, because she struggles with it constantly. She doesn’t believe in anything easily. There are a million different variations of young Scully I would have bought (in fact, I have bought them by the hundreds in my obsessive fanfic-reading days), but the one found in Devil’s Advocate isn’t one of them. As if all of that wasn’t bad enough, Maberry fills the book with dumb shoutouts and Easter Eggs that explode the continuity of the world and cheapen the things he references. Scully or her “friends” say nearly all the famous catchphrases, including the aforementioned “I want to believe,” and “trust no one”. The presence of psychic phenomena he has Scully experience undercuts the weirdness she will experience for the first time when working with Mulder. The presence of the Syndicate as the villains behind these events was the last straw. The sheer laziness of including them astounds me. Maberry completely wastes a genuine chance to flesh out the Scully family and Scully’s relationship to them in a meaningful way, which is something that has needed doing for years now. He also fails to competently explore the following: Scully’s religious faith, her devotion to rational thought and science, how she got into medicine, her identity as a military brat, her friendships (or lack thereof), her relationship with her sister, her behavior at school, and well, any sort of meaningful character development at all. To name a few things. If you are an X-Files die-hard like me (and especially if you heart Dana Scully), take a hard pass on this one. 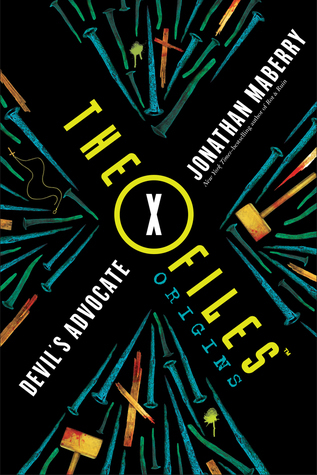 Also, if you’re not, take a hard-pass, because I don’t imagine this book would be interesting to anyone who isn’t already an X-Files fan, although according to an interview with the author, he and Garcia were both instructed to make the books accessible to non-fans. I debated whether to one- or two-star this, but in the end, I enjoyed nothing about it, so easy decision. Share the post "If you love Our Lady of Skepticism, don’t read this."